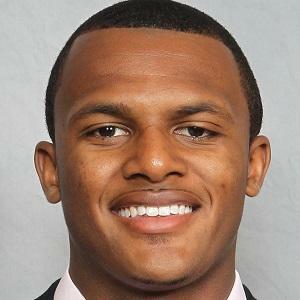 Quarterback who led the Clemson University Tigers to an NCAA National Championship in 2016-17. He also led the team to the championship game in 2015-16. He was a Heisman Trophy finalist both seasons. He was selected 12th overall in the 2017 NFL Draft by the Houston Texans. He was a USA Today All-American at Gainesville High School in Georgia. He set Georgia state records for passing yards, passing touchdowns, total yards and total touchdowns as a high school player. His mother's name is Deann Watson and he has four siblings. He played under head coach Dabo Swinney at Clemson.